There is growing evidence implicating the kynurenine pathway (KP) and particularly one of its metabolites, quinolinic acid (QUIN), as important contributors to neuroinflammation in several brain diseases. While QUIN has been shown to induce neuronal and astrocytic apoptosis, the exact mechanisms leading to cell death remain unclear. 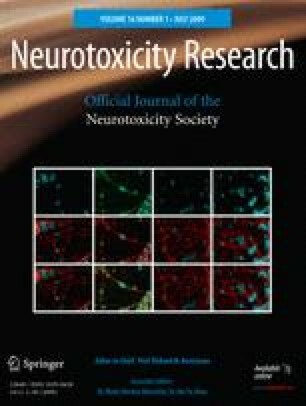 To determine the mechanism of QUIN-mediated excitotoxicity in human brain cells, we measured intracellular levels of nicotinamide adenine dinucleotide (NAD+) and poly(ADP-ribose) polymerase (PARP) and extracellular lactate dehydrogenase (LDH) activities in primary cultures of human neurons and astrocytes treated with QUIN. We found that QUIN acts as a substrate for NAD+ synthesis at very low concentrations (<50 nM) in both neurons and astrocytes, but is cytotoxic at sub-physiological concentrations (>150 nM) in both the cell types. We have shown that the NMDA ion channel blockers, MK801 and memantine, and the nitric oxide synthase (NOS) inhibitor, L-NAME, significantly attenuate QUIN-mediated PARP activation, NAD+ depletion, and LDH release in both neurons and astrocytes. An increased mRNA and protein expression of the inducible (iNOS) and neuronal (nNOS) forms of nitric oxide synthase was also observed following exposure of both cell types to QUIN. Taken together these results suggests that QUIN-induced cytotoxic effects on neurons and astrocytes are likely to be mediated by an over activation of an NMDA-like receptor with subsequent induction of NOS and excessive nitric oxide (NO•)-mediated free radical damage. These results contribute significantly to our understanding of the pathophysiological mechanisms involved in QUIN neuro- and gliotoxicity and are relevant for the development of therapies for neuroinflammatory diseases.